Luxury travelers want the finest tools when it comes to their beauty routine. Filling a suitcase with dozens of creams and potions can take up unnecessary space that could be set aside for another pair of Jimmy Choos. Wouldn’t it be nice to have a simple beauty plan that you can trust? Something you can grab and go. This luxury glamour on the go round-up is ideal for the luxury beach traveler or the business executive on the run. I had the opportunity to review the below products and enjoyed them all. Hair care can be difficult when you have to lug a variety of apparatuses that help to suit your mood for curls vs. straightening and the like. The Rowenta Versa Style Iron was by far my favorite piece in this beauty travel kit. 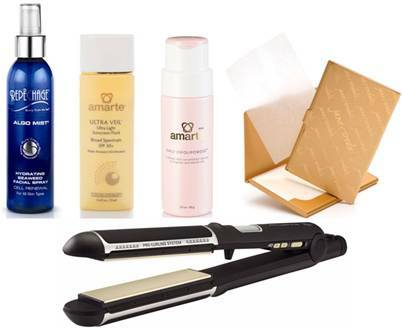 It is five salon tools in one – a flat iron, roller set, and three curling irons. They say the magic is in what they call ProCurling™ technology. I have been using this every chance I get. When I travel, I miss my hot rollers, but no more, this salon quality tool is amazing. My hair held the curl longer than my other curling irons, and I didn’t have the static that I sometimes get with my hot rollers. Ladies, you are going to love, love, love this product! Let’s talk about caring for your skin and the Amarte Daily ExfoliPowder. The first thing I noticed was the scent, it was very light. I’m extremely allergic to perfumes, so I have to be extra careful when testing new cosmetics and had no issues with this product. My skin was instantly soft and smooth after the first application. I rotate my skincare routine, so it was a nice addition to what I’m already doing, and I used it for a week, and feel it would treat me well on a trip. My next excursion is in a few days and it will be coming with me. 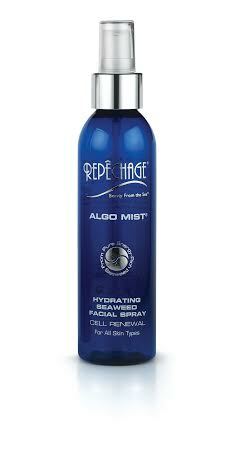 The Repechage Algo Mist® Hydrating Seaweed Facial Spray was a nice treat. Personally, I’m not a misting type, but I did enjoy the refreshment for my face when I felt I needed a pick-me-up. It fits nicely into any small handbag, so you can take it with you by day or evening. 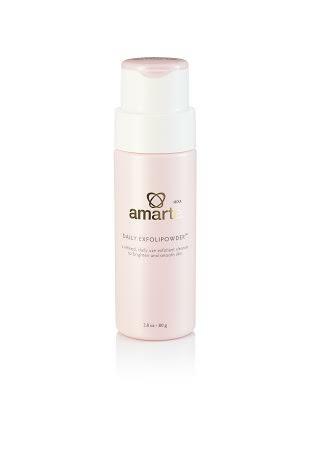 Indulge your face or décolletage with a spritz or two, when you need a little boost. 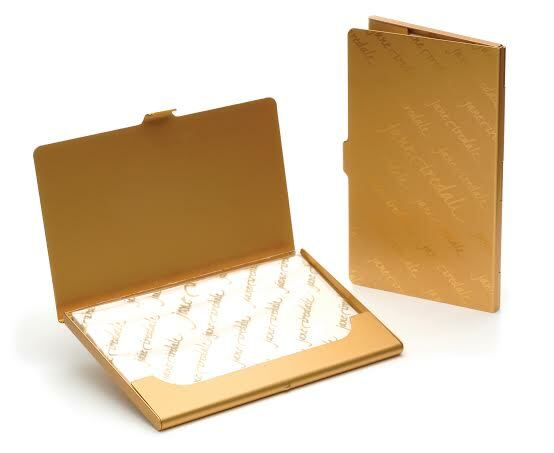 When you’re not misting, you’re blotting and the jane iredale Facial Blotting Papers worked much better than a tissue or any cotton cosmetic pad. They are made from organic flax seed, which I liked. 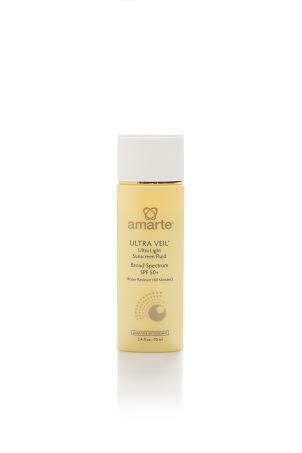 It removes the shine without disturbing your make-up. Compact enough to fit in a wallet or clutch. Putting together your own luxury glamour on the go beauty kit makes sense. Select from the premier products reviewed above or find some key products that will take the hassle out of an extensive beauty routine. Who knows, you may realize a simpler routine is just what you need to spend more time shopping for shoes. To read the Luxe Beat Magazine version of this article click on the title Luxury Glamour On the Go. Loved these ideas Sherrie, I will get them and take on my trip to Greece.